This year I am using Scrabble letters to create a word to focus on for a space of time. I place the word out on my counter so we can see it frequently, then I move it to my Scrabble board. I thought it would be cool to look at all the words gathered in one place at the end of the year. 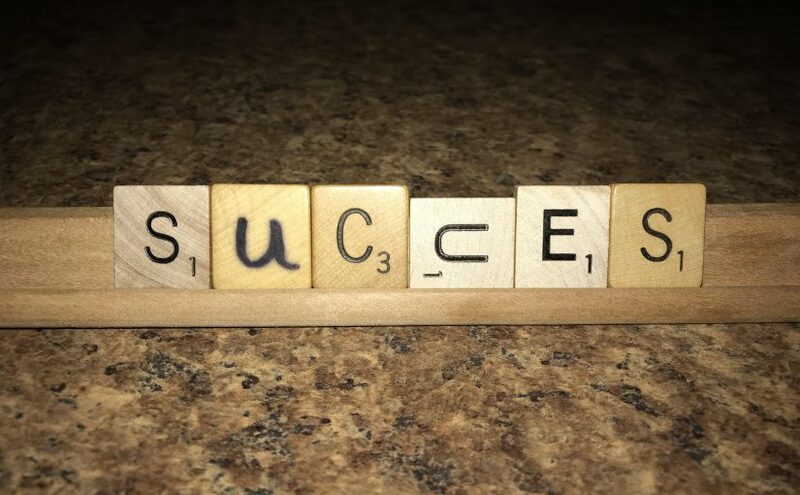 This week the word SUCCESS found its way to the Scrabble tray (What’s that thing called?) and as you may notice from the photo, I had to do a little Scrab-ad-lib’ing because many of the letters are already on the board. Success doesn’t always look like what you planned it to look like. Your idea of what success should look like may be different from mine. Sometimes you have to improvise, see things from a different angle or make your own version of success. What you see in the photo certainly wasn’t what I was going for but, in fact, I really like this imperfect version of success! I like that I had to be creative, I like that it looks different than people would expect and I like that this version of success is original. What does success to you look like? Are you being true to yourself in what you are striving for? What barriers are coming in between you and what you really want and what small steps can you take to forge forward? See yourself in your own version of your success. Feel it. Smell it. Taste it. Now go catch up to that vision and put yourself in it! Personally, I would rather fail originally, than succeed in cookie cutter imitation of what someone else thinks success is or should be. Embracing Imperfect Success, it’s just one more way to live Your Life, Unlimited! As always, I love to read your thoughts and ideas! This entry was posted in Communication, Empowerment, Motivation, Newsletters, Positivity, Success principles and tagged e-news, Motivation, Stephanie Staples, success principles, Your Life Unlimited. Bookmark the permalink.